Jeff Bowman joined our team in the spring of 2004 bringing over 27 years of service to the Muncie Community with him. Jeff, a native of Iowa, is a graduate of Western Illinois University and Indiana College of Mortuary Science. He is a member of the Kiwanis Club of Muncie, and has been involved in Scouting, He serves on the board of directors of the Delaware County Tuberculosis Association. Craig joined the Parson Mortuary staff in 2009 and brings with him 28 years of experience. 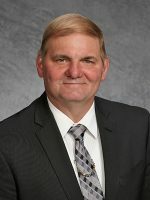 He graduated from Vincennes University with an Associates Degree in Funeral Service, and received his Bachelors Degree in Funeral Service Management from Belford University. Tommy joined our team in 2012 and brings with him a wealth of knowledge in funeral service and the current trends in the funeral industry. He is a 2007 graduate of Cincinnati college of mortuary science. in his spare time Tommy enjoys spending time with his wife and daughter at the lakes. Randy joined Parson Mortuary in 2017 as a Funeral Director and brings 5 years of mortuary experience and a rich array of personal experiences. Randy lived his entire life in Delaware County graduating from Yorktown High School in 1975. After 26 years working for BorgWarner, Randy returned to school at Ivy Tech and earned his degree in Mortuary Science. He continues to volunteer in his community at Daleville Christian Church and serving the detention center ministries in Muncie, Indiana. Randy enjoys spending time with his wife Kay, their three daughters and sons-in-law, and seven grandchildren. Lisa Ford, Funeral Director, is Parson's newest addition to the staff, joining the team in 2018. Norma has lived in Muncie most of her life. She joined the staff of Parson Mortuary in 1989. She is very involved with her church and her family. A resident of the Muncie area for over 70 years, Jim graduated from Burris High School. He is a retiree of Borg-Warner Gear. He has been with our staff since 1990. He is very active in the Yorktown Church of the Nazarene. Gina joined the Parson staff in 2003. She has lived in Muncie all of her life, and attends Fellowship Baptist Church. She is married and is raising her two daughters. Gordon has been working with Parson Mortuary as a landscaper for several years, but in 2014, he became a valued member of our staff. He owned Gordon’s Flowers in the village for 36 years, and is a lifelong resident of Muncie. Bob joined the Parson Mortuary staff in 2014, following his retirement from Ball State University Police Force after 24 years of service. He was Assistant Chief of Police for 15 of those years. Bob is a Past Master of Muncie Masonic Lodge #433. He has been active in Cowboy Shooting for 10 years. George was a valued member of our staff here at Parson Mortuary. George passed away in 2014, but will always be remembered for his contributions of compassion that guide the actions of all our staff members.